2018 MEF Major Saver Campaign gets underway March 15! 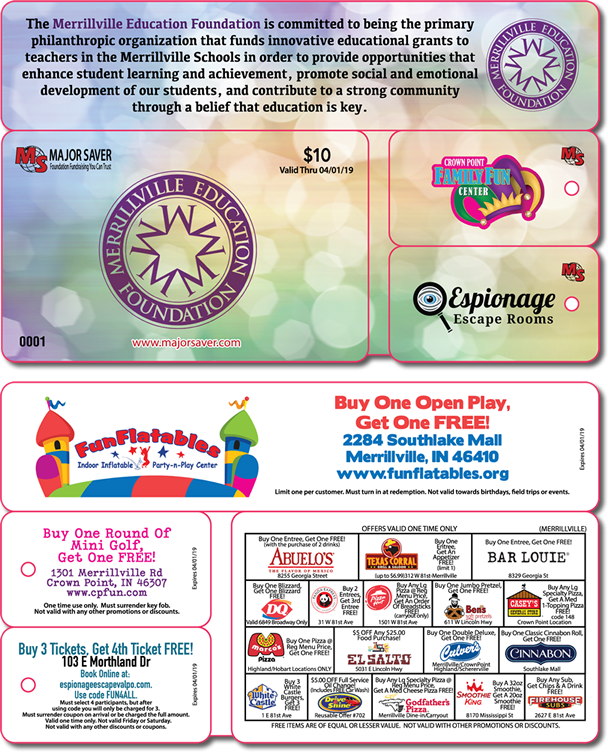 | Merrillville Education Foundation, Inc.
Students in the district will be selling $10 cards with 20 BOGO or discount offers starting Thursday, March 15th thru Tuesday, March 27th. Offers on the card are estimated to be valued at $300! 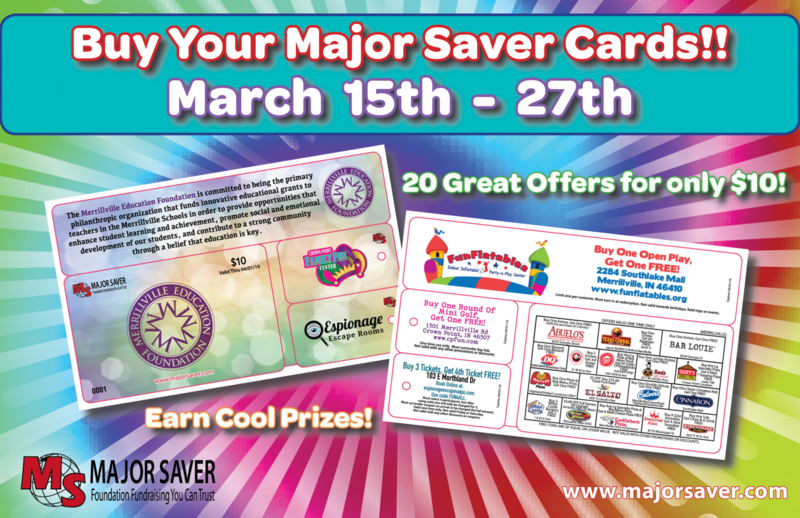 Proceeds from the sale of Major Saver cards directly support innovative educational opportunities for your child at his/her school. Since its inception in 2002, the Merrillville Education Foundation has given nearly $323,000 to the Merrillville Schools in the form of grants and Major Saver fundraising. All of the money generated from this fundraiser goes back to supporting MEF programs for Merrillville Community School Corporation children. The schools will be able to fund innovative and creative projects in the classroom and school, and allow students to have broad educational experiences with these additional Major Saver funds. Physical Card: Follow the instructions on the packet that came home with your child. 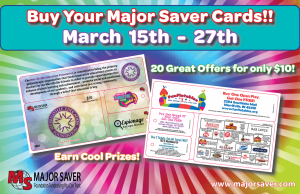 Remember, besides the selling of cards by your student, Major Saver cards can also be purchased online at www.majorsaver.com. The online sale can be credited back to a particular student and school. All cards purchased online will be mailed directly to the customer. Phone or Tablet App: Major Saver cards can also be purchased, and credited to a student, through the Major Saver App. Once the free app is downloaded to an Android or iOS device, buyers can choose a Major Saver card through the “buy cards” tab on the app. Once the buyer completes the transaction the offers will be stored in the Major Saver App. Patrons can then redeem offers directly from the app and do not need a physical card. Major Saver stresses safe selling and discourages door to door campaigning. The company encourages students to sell to family members, church patrons, neighbors, or other adults the family may know; and to always make sure their parents are involved. Please consider purchasing one or more Major Saver cards this year to help benefit the Merrillville Education Foundation and the students within the district. Thank you for your continued support! Help us help your child and buy a card today!